Janelle Richards stepped into her role as the first Environmentalist in Residence at Toronto Public Library (TPL), ON, Canada, on June 4. 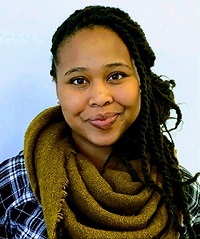 An environmental educator and certified teacher with over seven years’ professional experience, Richards will offer her expertise on conservation and sustainability, as well as programs, workshops, and community consultations, at TPL’s Albion Branch and Scarborough Civic Centre Branch. Success for your library means offering staff room to move up and having a plan for who can grow into their spots—even yours. In a recent survey, I asked public library staff from all types of libraries across the United States to imagine what their perfect professional development (PD) learning experience would look like if neither money nor time were an issue. Library leaders have strong views about what library schools should be doing to prepare the kind of employees they’re looking for, what graduates should know to transition successfully to library work, and how schools and libraries can collaborate to produce prosperous graduates. Higher education has a reputation for staying the same. That’s never been more of a myth than right now. Some of the changes have little impact on academic librarians. Others require more of our attention. It may not always be sunny in Philadelphia, but Library Journal’s 2017 Directors’ Summit, held November 2–3 at the Free Library of Philadelphia (FLP), saw blue skies and warm days—all the better to tour FLP’s revamped spaces, network on the Parkway Central Library’s rooftop terrace, and learn from a dynamic collection of directors, librarians, and library partners who offered up their knowledge and experience. I traveled to Indianapolis last month to speak to a group of women leaders about fake news and information literacy. I was invited by Jackie Nytes, the CEO of the Indianapolis Public Library, who is pretty impressive herself. Beyond addressing information literacy with possible change agents, the event presented an opportunity for me to reflect on how far women have come in the journey toward equality in the workplace and how important mentorship and modeling is in that long march. A fascinating new report takes a fresh look at what the workforce is going to look like in the future and which skills will be highly sought after. According to “The Future of Skills: Employment in 2030”, there will be an increased call for librarians, curators, and archivists, among other occupations. A new role leading in any capacity, but particularly as a library director, can be stressful. New leaders usually get lots of tips on what to do. A good honeymoon period strategy can also benefit from a few what-not-to-do tips. Many of my closest librarian friends found their way into our profession much as I did. We had no idea what a librarian did, nor how or why anyone would become one. In my case, just out of the U.S. Army after two years as a draftee and badly in need of a livelihood, I followed up on an advertisement from a local library. An uptick in a number of college presidents leaving their positions early on, along with two new reports on the skills necessary to be an effective college leader, shed some light on what it takes to lead a complex organization. When it comes to what makes a good librarian, the first requirement is experience—whether in the library, working with records, or talking to patrons and students. But sometimes there is no substitute for earning a Master of Library and Information Science (MLIS) degree—either to meet the benchmarks necessary to further a career already in progress, or to shift from an (often already successful) path in another profession. The talent at work in libraries should make anyone optimistic for the future—not only of libraries but of the varied communities they serve. As the latest class of LJ Movers & Shakers demonstrates, the field is rippling with energetic, committed, innovative people addressing issues to create ever better service. It’s important that today’s leaders guarantee an institutional dynamic that will keep up-and-coming visionaries like these happy in libraries, allow them to flourish, and enable the best to step forward into larger roles. Conversations with library managers across diverse systems reveal widely varied experiences. They also surface a handful of overlapping core values that make for a truly effective library manager and offer lessons for those who aspire to the role. As a line on a résumé, the title of library director looks straightforward enough: the highest administrative role a public library has to offer; one that comes with great responsibilities and challenges—but also the opportunity to map a future for the library. In reality, a director’s duties vary widely from one system to another, as do the paths that lead to the role. When she arrived to direct California’s San José Public Library in 2013, Jill Bourne faced the effects of years of decimating budget shortfalls and service cuts. The effectiveness with which Bourne spearheaded her Library Access Strategy, opened the libraries, built new relationships with and support from San José’s civic leadership, and leveraged partnerships and fostered innovation—and is now reaching beyond the library to a new citywide Education and Digital Literacy Initiative—has won over a newly inspired staff and convinced our judges to name her the 2017 LJ Librarian of the Year, sponsored by Baker & Taylor. Nick Higgins emailed me the other day. He was a student in my class at what is now called the School of Information at the Pratt Institute in New York City, graduating in 2008. One of the joys of teaching is the continuing contact with students as they progress through their careers. In our profession that contact is especially gratifying. On her website, Jenna Hartel talks of “a different character of LIS”—one rooted in positivity, curiosity, and proactivity. It’s what she calls “the bright side of information,” a focus on the upbeat aspect of library studies that has won Hartel, associate professor on the Faculty of Information at the University of Toronto (U of T), a special spot in the hearts of her students and fellow faculty members—and the 2016 Library Journal/ALISE Excellence in Teaching Award, sponsored by ­Rowman & Littlefield. How do we find that perfect hire? A recent email from Kit Stephenson, head of reference and adult services at Bozeman Public Library, MT, got me thinking: “I am trying to find the best questions to find a full-stack employee. A couple of attributes I require are compassion, team player, and thrives on change. I want someone to be a conduit, connector, and a discoverer.” That call back to Stacking the Deck raised this question: How do we find a well-rounded person amid a virtual pile of résumés and cover letters? Please consider the following as part of your potential discovery sets for future interviews. When LJ Mover & Shaker Willie Miller first got hired at Indiana University-Purdue University Indianapolis as the Informatics and Journalism Librarian in 2010, he was that rare commodity: a young person with an ear to the ground on social media and a taste for library science. Most academic librarians stepping into a position can model their work on that of their predecessors. But not Thomas Padilla. On his appointment in April as the first humanities data curator at the University of California, Santa Barbara (UCSB) Library (and the first in the entire University of California system), Padilla has had to draw on a number of different disciplines to shape his role of working with data throughout its life cycle, creating a support plan for digital humanities researchers, and providing research data consultation. Since 2014, academic librarians from across the United States have gathered at Loyola Marymount University (LMU) in Los Angeles to be part of an immersive learning experience—the Institute for Research Design in Librarianship (IRDL). On April 11, Tony Ageh became New York Public Library’s (NYPL) chief digital officer, responsible for developing strategy for the ongoing digital transformation of the institution, which includes making its collections and services as accessible as possible both locally and globally. Ageh most recently held a variety of leadership positions at the British Broadcasting Corporation (BBC) in London, beginning in 2002. There he created and implemented the BBC iPlayer, an Internet television and radio streaming service, which has delivered over 10 billion programs to British users, and acted as controller of the BBC’s Archive Strategy, partnering with such organizations as the British Library and the Open Data Institute on the Digital Public Space, an open access approach to learning and cultural resources. Directors and library leaders from around Ohio and Pennsylvania met for a half-day workshop to share best practices and discuss ideas for impacting literacy and education throughout their communities. The interactive workshop was sponsored and attended by EnvisionWare and featured presentations by The Public Library of Youngstown & Mahoning County, Akron-Summit County Public Library and Stark County District Library. While serving as a library trustee is no longer the exclusive domain of retirees, or even those in late or midcareer, only the board of the Cornelius Public Library, OR, can boast a chair who is still thinking about her SAT scores. Sixteen-year-old Mariana Ramirez Godinez (pictured), a junior and honor student at Glencoe High School, where she plays violin and sings in Una Voz, the Hillsboro School District’s 35-member mariachi band, was unanimously elected chair of the 11-member Cornelius Library Advisory Board in December; she has been a board member since spring 2015, a volunteer for the past three years, and a fan of the library since she moved to Cornelius from Mexico ten years ago. It’s easy to find advice on how to mentor a Millennial, but what if you are a Millennial, and you are the mentor? It’s bound to start happening. As of 2015, Millennials make up the largest proportion of the workforce. The oldest members of that generation are turning 34 and moving into management positions. Those of us who have moved into management have had help, and we should send the ladder back down. Later this year Andrew Jackson, executive director of the Langston Hughes Community Library and Cultural Center in Corona, Queens, will be leaving the position he has held since 1980 to write and teach. A Queens native, Jackson grew up in East Elmhurst, receiving a degree in Business Administration from York College at the City University of New York and his MLS from Queens College. Stepping into the role will be Mikisha Morris, who has spent the majority of her career in nonprofit and public education administration in Philadelphia. Morris recently earned her doctorate in Educational Leadership, focusing on the use of cultural arts programs to serve urban communities. Innovation Catalyst Librarian, Wikipedian in Residence, Director of Knowledge Curation and Innovation. These are just three of the job titles emerging in libraries that indicate the dynamism of the field. They point to libraries as a destination for talent seeking a great place to develop a career while making a contribution. Long misunderstood in the popular psyche as a haven of employment for those who just love to read, libraries are complex service organizations with opportunities to get paid to do good work for a lifetime. As they have evolved, so have the particular jobs available, and now is an exceptionally interesting time to think of the library as the place to dedicate the bulk of one’s waking hours. Along the way, libraries are looking more and more like the innovative employer every community should have humming at its core. As this quartet of essays attest, from today’s groundbreaking titles to tomorrow’s essential skills, what it means to be a working librarian is expanding. This can drive changing job descriptions—sometimes a ticklish process to negotiate with unions but successful if embarked upon with a collaborative attitude. To get those new, improved positions, learn to navigate one of the trickiest aspects of the hunt: the group interview. 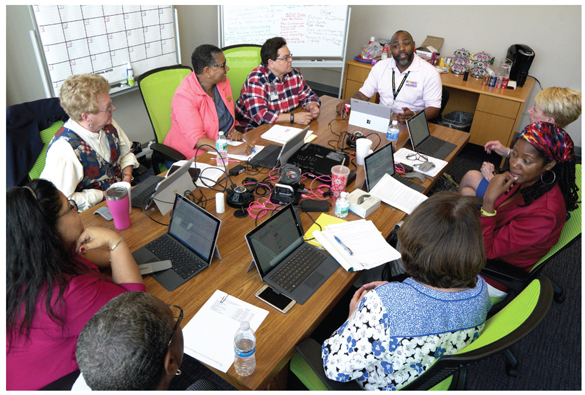 LJ reached out to academic and public library directors and other thought leaders nationwide to find out what new skills they expect to need in librarians in the next 20 years. The 11 listed below emerged as the essentials. Not complete departures, rather they build on trends already in evidence. Roles for librarians in today’s public, academic, and special libraries keep shifting. The changes, however, aren’t always about technology, as these five new jobs demonstrate. Most group interviews are really panel sessions—two or more interviewers meet with one candidate at a time. The other, scarier type of group interview is the multi­candidate interview. Two or more candidates gather in one room, and hiring managers expect them to make small talk, work in teams, and take turns answering questions. Writing employee job descriptions is one of the most challenging projects for library managers. Well-written job descriptions attract the right candidates, guide the decisions of those doing the hiring, and help employees understand their responsibilities—factors that are increasing in importance as technology causes significant shifts in roles and expectations for library professionals. Crafting job descriptions in a union environment can add an extra layer of complexity. Former New York City Schools Chancellor Dennis Walcott was named president and CEO of Queens Library (QL) on March 1. Walcott, a native of Queens, was selected by the board after a six-month national search. He succeeds Bridget Quinn-Carey, who has served as interim president and CEO since former QL president Thomas W. Galante was placed on administrative leave and then fired in December 2014 for alleged misconduct and mismanagement of library funds. Quinn-Carey will return to her prior role as QL executive vice president and COO. Assuming Walcott’s appointment is approved by the New York State Department of Education (DOE), he will assume his duties at QL on March 14. Although he is not a librarian, Walcott’s career has been devoted to education and social services, serving high-level administrative roles in New York City’s government and community organizations. President Barack Obama announced on February 24 his intent to nominate Carla D. Hayden, CEO of the Enoch Pratt Free Library (EPFL) in Baltimore and 1995 LJ Librarian of the Year, as Librarian of Congress. In addition to leading EPFL since 1993, Hayden served as president of the American Library Association (ALA) from 2003–04 and has been on the National Library and Museum Services Board, which advises the Institute of Museum and Library Services (IMLS), since 2010. Hayden was also a member of the 2010 steering committee that guided the formation of the Digital Public Library of American (DPLA). Brett Bonfield stepped into the role of director at the Princeton Public Library (PPL), NJ, on January 19. He succeeds former PPL director Leslie Burger, who announced her retirement in July 2015 after 16 years at the library’s helm. Bonfield, a 2012 LJ Mover & Shaker, served as director of the Collingswood Public Library, NJ, from 2008 through 2015; chaired the American Library Association (ALA) Future Perfect Presidential Task Force from 2010 to 2011, and cofounded the influential online journal of librarianship In the Library with the Lead Pipe—he is now an editor emeritus. LJ spoke with Bonfield shortly after he began work at Princeton to talk about fundraising, blogging, PPL’s 2Reimagine second floor renovation campaign, and what it’s like when everyone knows where you live—both literally and metaphorically. Has this ever happened to you? A meeting is going along swimmingly. Decisions are being made. Paths forward seem clearly defined. Action items are doled out to key players around the ­table. And then, a voice pipes up: “I’ll play devil’s advocate and....” Cue the sound of wheels screeching to a halt, or perhaps the collective, weary exhale of the group. In Fall 2015, the Brooklyn Public Library’s (BPL) strategy team gained two codirectors, David Giles and Story Bellows—urban innovators with strong backgrounds in government policy. Giles joined the library as chief strategy officer in November 2015, after serving as research director at New York’s Center for an Urban Future (CUF), which in 2014 published Re-Envisioning New York’s Branch Libraries, a report examining the physical and economic challenges facing the buildings that make up New York City’s three library systems. In his new role, he will provide strategic leadership around program development, partnerships, advocacy, and capital planning, among other aspects of BPL’s mission. Leading the strategy team with Giles is Bellows, who became BPL’s chief innovation and performance officer in October. Before arriving in Brooklyn, Bellows cofounded and directed the Mayor's Office of New Urban Mechanics in Philadelphia, an in-house research and development lab aimed at supporting innovative approaches to civic problem solving. Kelvin Watson last month was named Chief Innovation and Technology Officer for Queens Library (QL) in New York. In addition to his prior position as QL’s VP of digital services and strategy, Watson’s background includes positions at companies and organizations including The Library Corporation (TLC), Ingram, Borders, and the U.S. Department of Agriculture. He is also the current president of the Black Caucus of the American Library Association (BCALA). Rick Osen is the newest member of the five-person board of trustees at Bellingham Public Library (BPL), WA, but he is no stranger to the library world. Osen served as interim dean of libraries and assistant dean for library administration and planning at Western Washington University for 35 years, retiring in 2014. In February he joined chairman J. Robert Gordon, Rachel Myers, Marilyn Mastor, and Tom Barrett to serve a five-year term on the BPL board, and LJ caught up with him to find out more about his transition from academic librarian to public library trustee. Ann Thornton was appointed as the new university librarian and vice provost of Columbia University in May, replacing university librarian emeritus James Neal upon his retirement. Thornton has a long history with prominent New York City libraries, having previously served for nearly two decades at the New York Public Library (NYPL). Since starting out at NYPL’s Science, Industry, and Business Library as its first public training coordinator in 1996, Thornton has occupied a number of senior leadership positions. Most recently she served as Andrew W. Mellon director, where she was responsible for collection development, preservation, reference and research services, and exhibitions for the system’s four research libraries and 87 branch libraries. 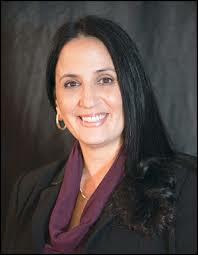 Before coming to New York, she worked at the University of Houston Libraries as a systems librarian. James H. Billington, who has served as the 13th Librarian of Congress since he was appointed by President Ronald Reagan in 1987, announced on June 10 that he would retire effective January 1, 2016. Librarians have always taught patrons how to use the tools that serve their information needs. We had to explain card catalogs, vertical files, microfilm/fiche, photocopiers, and OPACs. The fundamental difference about the tech needs of the 21st century is the ever-changing variety of personal devices that patrons use to access our services. Some libraries are lucky enough to have dedicated staff with special training to serve these patrons directly, but most of the time it’s a library generalist fielding question after question about something new every day. How do frontline staffers with self-taught or very basic knowledge of technology stay savvy about the latest and hottest gadgets? How do we train nontechnical staff to troubleshoot effectively and train our patrons to use their own gadgets? Stacey Aldrich was named state librarian of Hawaii on February 18 by the Hawaii Board of Education, filling the position vacated by former state librarian Richard Burns when he retired in in December 2014. Aldrich, a 2003 LJ Mover & Shaker, is no stranger to state libraries: She served as state librarian for California from 2009–12 and as deputy secretary for the Office of Commonwealth Libraries of Pennsylvania from 2012 until this year. Jessica Generoux has secured an innovative internship while she pursues her Master of Information and Library Science at the State University of New York at Buffalo. Generoux, previously a library assistant at the Regina Public Library’s Albert Branch, is now the University of Saskatchewan’s (U of S) first Aboriginal library intern. The paid internship was established as part of the U of S’s Promise and Potential integrated plan, which includes Aboriginal Engagement as a top component. Over the next three years Generoux will rotate through each of the university library’s branches, gaining experience in academic librarianship and, in turn, offering U of S staff and students a window into her culture and heritage. Passion. Vision. Mission. These are just a few of the words that characterize the 50 individuals—and one organization—named 2015 Movers & Shakers. Passion. Vision. Mission. These are just a few of the words that characterize the 50 individuals—and one organization—named 2015 Movers & Shakers. Chosen from more than 300 nominations, the Movers see the future and bring it to life. This year’s Movers & Shakers are profiled in the March 15 issue of Library Journal, and those profiles will be posted in an online version, sponsored by OCLC and Boopsie, rolling out next week, one group at a time. However, so as not to prolong the suspense, the complete class of 2015 is listed below. Join us in congratulating them. Happy New Year to all! It's that time of the year when we look forward and back. “Top Ten”–style lists appear in our feed readers, revisiting the highs and lows of 2014 and pointing us toward what 2015 will bring. Paul Gazzolo joined library resource vendor Gale, part of Cengage Learning, as senior vice president and general manager this November. He will be leading Gale's strategy, product development, sales, and marketing teams, working closely with Gale's partner libraries. Before moving to Gale, Gazzolo was general manager of research and learning at Wolters Kluwer CCH tax and accounting service. Prior to that position he served as president of World Book, where he successfully transitioned the well-known encyclopedia into a digital presence. How many LIS program graduates would identify as scientists, ready to conduct experiments and make new discoveries in information theory, practice, and behavior? Probably far fewer than those who get a library job where they practice design. When students have trouble grasping the subject matter, intuitively we work to make it as clear as possible. New research suggests actually promoting some confusion may work better. If that’s true, how would it change library instruction? Last month I enjoyed the distinct privilege of keynoting the Conference for Law School Computing (also known as “CALIcon”), a gathering of legal educators, law librarians, and IT professionals in law put together by the Center for Computer-Assisted Legal Instruction (CALI). I can’t say enough in praise of the ever-present spirit of sly spirited fun at this conference. Okay folks, it’s time to talk about one of those things they usually don’t cover in library school: job benefits. As any employer can tell you, the cost of your benefits is considerable (or at least, usually it is, if you have halfway decent benefits, and most libraries do provide at least that). Which means your employment provides you with stuff to which you may not pay a lot of attention…until you’re up against a problem and really need that safety net. For many, salary discussion is the last taboo. But without knowing how their peers are compensated, it can be hard for librarians to make their case for better pay—and hard for library leaders to make the case to funders that higher salaries are necessary to attract and retain the best candidates. LJ has, for years, conducted its annual Placements & Salaries survey, which focuses on recent graduates, to dig into what beginning librarians earn in their first positions and what trends those salaries reveal. 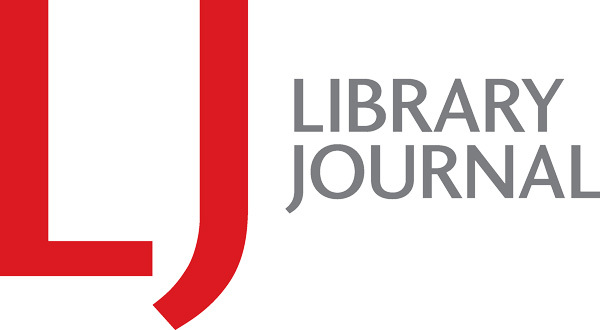 Now, with the help of more than 3,200 public, academic, school, special, government, and consortium librarians from all 50 states, LJ’s inaugural salary survey for U.S. ­librarians and paralibrarians takes a deeper look at the range of the field’s salary potential. Are you an online adventurer, curator, amplifier, or something else? Learn about the 12 online personas, and tell us who you are in an online poll. Summer lets me teach my favorite course, the run-down of what’s going on with several publishing industries and how libraries are riding the rapids. (It’s actually a course in environmental awareness and handling change, but such skills are much easier to teach given a concrete context in which to exercise them.) As I tore through syllabus and lecture revisions earlier this month to clear time for other necessary work, I found a few spare milliseconds to wonder whether the serials crisis, which hasn’t felt like an immediate all-hands-on-deck crisis in some time, might finally be heating up into one. Into many, really; the localized nature of serials pricing means that crises hit consortia and individual libraries at varying times, not all of academic librarianship at once. So I was at the Information Desk in Widener not long ago, and business was uncharacteristically slow (the thing I like best about working the Information Desk is that it’s usually hoppingly busy, and the kinds of questions that come in range from, "Where’s the bathroom?" to "Can you help me locate this 16th-century manuscript that’s essential for my thesis?") when my friend and colleague, Joshua Parker, stopped by to say hello. Our discussions always cover a host of topics, but a favorite is about kinds of organizational structures (if you read the post linked from Joshua’s name you’ll see that he is that rare bird, a library manager mensch). He had some noteworthy things to say and some useful resources to recommend for reading, which I’ve found interesting and which I’m going to pass on to you folks. They’re not your usual library organization or management titles, however. Could we talk about skill and competency lists, please? They’re everywhere, inescapable as change. Professional organizations have made dozens. Dozens more come from the LIS literature, as content analyses of collections of job ads or position descriptions. Whatever job you do or want to do in libraries, someone’s made a list of the skills you must supposedly have mastered. When I attended a non-library event recently, I was introduced to the group as a librarian, whereupon one of the assemblage enthused, “you must love to read!” to which I replied, “I do—but I don’t get to do much of it at work.” “What do you do at work, then?” was the very reasonable followup question. I talked about database searching, and teaching, and serving at public desks, and giving researcher tours, and doing research consultations, and giving presentations, and serving on committees, and keeping statistics for all of this…and by that time the querent’s eyes were glazed over and they very probably regretted asking what they thought was a no-brainer question. At some career stage librarians may contemplate moving to an administrative leadership position with the goal of becoming a director or dean. Here are some things to consider as you dwell on your administrative leadership potential. n my last column I summarized what “a slew of library managers” told me they do to develop professionally, as well as what they’d like their direct reports to do in the area of professional development. This time around I’ve asked a bunch of front-line librarians (public, academic, special, public services, tech services, special collections, etc.) what they’re actually doing in terms of professional development. After summarizing their responses, I’ll do a little comparison between the different sets of replies. What lessons can academic librarians take away from “W,” who negotiated for a tenure-track position thinking there’d be no harm in asking for more—but in fact it did a lot of harm? The Librarian Shaming tumblr highlights anonymous “confessions” from our field. Some are humorous, some shocking. Some will make you think and maybe reconsider assumptions. This shameful confession perked me up when I discovered it: “I want to replace all librarians with tech people with great customer service skills and teaching ability. I want the library to have its own Genius Bar.” While a bit narrow in focus, this statement resonates on an instinctive level with me as an LIS educator. The phrase, “professional development” is used liberally by librarians. It’s used so liberally and in so many different contexts that I’m not really sure just what it is anymore. Is it getting yet another degree? Publishing in the literature? Participating in the life of your community? Given that most performance evaluations involve assessing an individual’s success in developing professionally, I think it’s a concept we all want, and need, to understand. Welcome to the 2014 LJ Movers & Shakers. The 50 individuals recognized here are passionate about what all types of libraries can do to enhance lives—for adults, teens, schoolchildren, infants, and toddlers. If there's a common theme among their profiles, it's that as much as the library is a place to go, it is also a place on the go—to wherever patrons or potential patrons are. The Class of 2014 brings the total number of Movers to over 650. It was difficult to select just 50 people to honor from the more than 225 nominations we received. There's not one Mover, however, who hasn't told us that they couldn't succeed without their colleagues, so, in effect, the Movers & Shakers represent hundreds more who work in and for libraries. Some of the best new professionals I meet and teach are leaving academic libraries. Another scholarly-communication librarian in an academic library got in touch with me online last week about finding a different kind of job. I’m well-used to these messages from scholarly communication librarians and research data managers new to the profession; sometimes they’re my former students, sometimes they’re conference acquaintances or folk I converse with online. Like the other pre-departure messages I’ve gotten, this one came from the kind of new professional every academic library claims to need: smart, tech-savvy, creative, passionate, hard-working, up-to-date, and consciously committed to staying that way. Like the other pre-departure messages I’ve gotten, this one breathed disillusionment and burnout. I’m worried. The water surrounding Queens Public Library (QPL) President and CEO Thomas W. Galante just keeps getting hotter. In the weeks since the New York Daily News published a story detailing his $392,000 annual salary and the pricey renovations done to his office while QPL branches were suffering staff cuts, Galante has consistently denied any wrongdoing, even while other city officials call on him to step down from the post he has held since 2005. We knew Corinne Hill was destined to be a star back in 2004, when she was named an LJ Mover & Shaker. She had been a librarian for only eight years. A decade later, as executive director of the Chattanooga Public Library (CPL), she is the 2014 LJ Librarian of the Year, an award sponsored by Baker & Taylor. Hill’s career has climaxed in Chattanooga, where she has transformed what consultants June Garcia and Susan Kent called the “ugly, irrelevant, and mismanaged” public libraries of Hamilton County, TN, into the new and vibrant CPL. “She has fostered a culture of change and innovation that has affected nearly every aspect of the library,” says an August report in the Chattanooga Times/Free Press. For the past decade, Suzie Allard has worked to build a specialty in science information and science data management. In the process, she has expanded the range of jobs available for the new librarians graduating from her programs. Allard, associate professor and associate director of the School of Information Sciences (SIS) in the College of Communication and Information (CCI) at the University of Tennessee, Knoxville (UTK), now has been named the winner of the 2013 LJ Teaching Award, sponsored by ProQuest. Congratulations! You have worked hard to earn your degree and have been successful in finding a professional position that suits your skills and abilities. You have navigated a competitive job market in the midst of a recession, and, in spite of reduced budgets, you have been able to launch your career. But no library school, however full of internships and practicums, can fully prepare you for day-to-day life as a working librarian. Here are some hints to help you fit into your role and have a fruitful and rewarding lifework—all based on observations from years of mentoring new ­employees. I’ve had some strange experiences teaching workshops and continuing-education courses over the last couple of years. These challenges simply don’t happen in my regular library-school classrooms. Sometimes I can easily take them as a salient reminder to me to explain clearly the “why” behind the “what” in my teaching. More often, though, I find myself worried, both for these learners and for the state of the overall pool of professional skill. After years of struggling to get its house in order, the Masters of Library Science (MLS) program at Southern Connecticut State University (SCSU) lost its American Library Association (ALA) accreditation last week. While faculty and administrators hope to take the withdrawal as an opportunity to focus their efforts at revitalizing the troubled program, the withdrawal of ALA accreditation is a serious blow to the school. Holding steady. That’s the overarching picture of salaries for new graduates from MLIS programs, as captured by LJ’s annual Placements & Salaries Survey. Every year, LJ takes the pulse of the profession through this national survey, and each year we suss out the significant issues conveyed by the numbers and the respondents’ verbatim replies. Steady, of course, can be relatively good news in a challenged economy. Still, I don’t like it. I want to see salary growth in this evolving and crucial profession. More important, the bulk of our new graduates need better salaries to survive and thrive—and the profession needs those wages to retain, and continue to attract, the best and the brightest. It’s a song you may have heard before. Are the majority of educators out of touch with the realities of the professions they support, including those in LIS? How do we prepare our students for a rapidly changing field? At first, I was offended when Gretchen Whitney recently posted to the JESSE list, which she moderates, a simplistic estimation of the differences between the teaching of part-time faculty and adjuncts and that of tenured and full-time faculty in LIS programs. I took her comments personally, I suppose, because I have been a part-time and adjunct faculty member at more than a half dozen LIS programs for more than 50 years. LIS faculties need diversity: more so of gender, of ability, of thought, and of race and ethnicity. If we as a profession keep saying that we must recruit more minority students because this makes us better prepared to serve increasingly diverse patron populations, shouldn’t we do the same at the faculty ranks?